Solar power for mobile devices is the wave of the future, but many of the small portable solar chargers on the market aren’t big enough to efficiently power tablets and other gadgets that have a larger battery capacity, and they don’t often include an onboard battery pack for charging devices after the sun goes down. However, a new entry to the portable solar charger market aims to fix that, by offering a small yet powerful system to both harvest and store solar energy for all of your mobile gadgets. 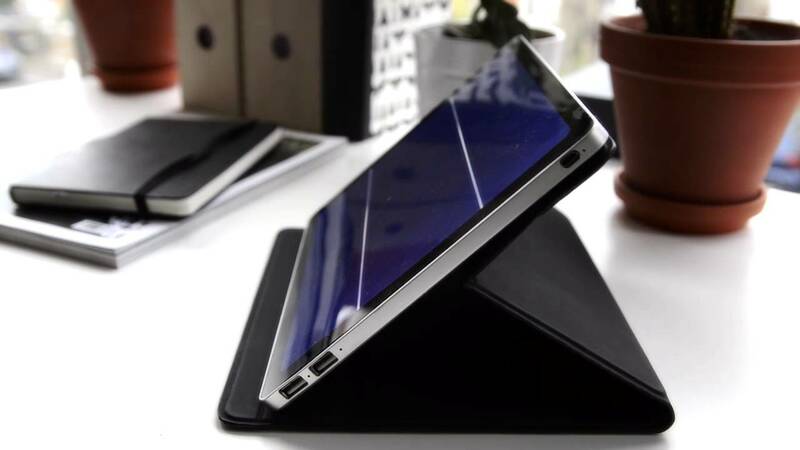 The Solartab measures about the same size as an iPad, comes with a combination cover/stand, includes a 13,000 mAh lithium-ion battery and two USB ports for charging devices from. The device can also be charged from a wall outlet, so you can start your day with a full charge. 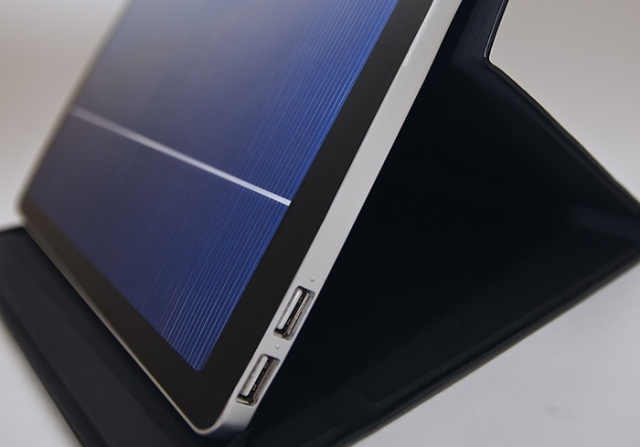 The Solartab is currently in a crowdfunding phase, and the startup’s Kickstarter campaign is already over 2/3 of the way to its goal, with 20 more days to run. Backers of the project at the $99 level will be the first to get one of these solar chargers (a value of about $149), or for $139, a special limited edition Kickstarter model.